*We will never ask for or accept payment for crow or varmint removal services. * We have decades of hunting experience and vast knowledge that we rely on to eliminate pests, without damaging your property in any way. 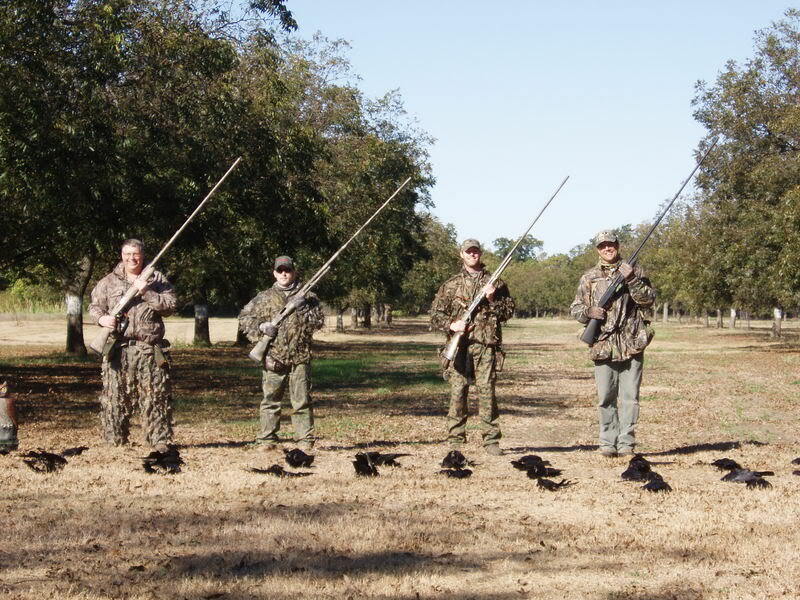 * We use shotguns equipped with 'Metro Barrels' which diminish the muzzle blast so you, your family, your neighbors, and your livestock are not disturbed by our operations. See our 'Photos' page for additional images of these unique devices. * We utilize the latest in electronic calling technology and motion decoys to deceive, confuse, and eliminate the varmints that are robbing you of the fruits of your labor. * We pick up all of our expended hulls and leave your orchards, fences, roads, fields, and crops the way we found them. * We provide you with a count of each species we eliminate at the end of each operation, and will remove all carcasses from your property. * We limit our hunting party to the minimum number required to achieve the result you desire, usually two or three hunters. *We can provide you with signed Release Forms for each Patrolman to protect you, the property owner. *We can provide you with references of other local property owners who value our services. *If you have a serious squirrel problem, we can recommend highly specialized squirrel shooters to help you with these rodents, please click here for more information.